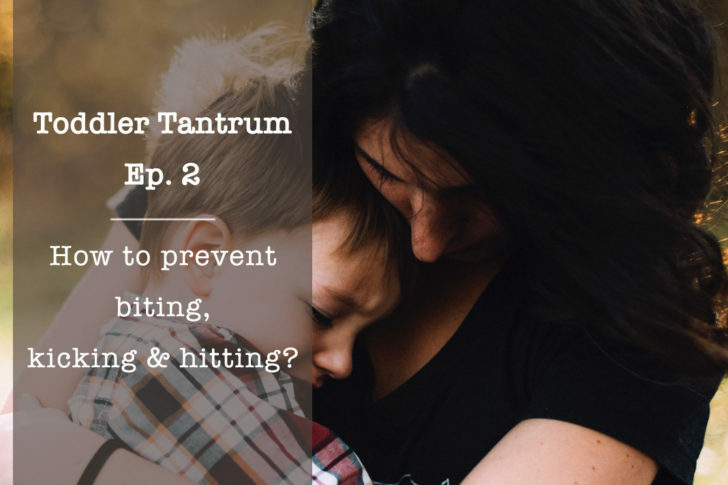 In our previous episode we talked about why toddlers can get aggressive sometimes and in this episode, I will give you some tips on how to prevent that unpleasant behaviour. 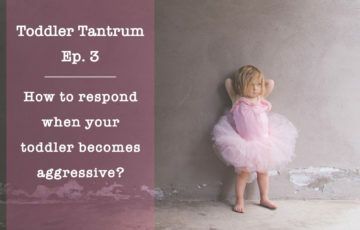 It’s good to know and remember that aggression peaks between the ages of 2 and 4 and this tantrum filled period will slowly fade after the age of 4. It is an inevitable phase you and your child need to go through. 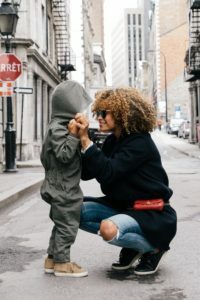 It is a bumpy ride, full of obstacles but at the end of the journey, there is a huge reward: your child will be able to understand not only hers but others’ feelings as well and to express her emotions and thoughts in a nonaggressive way. 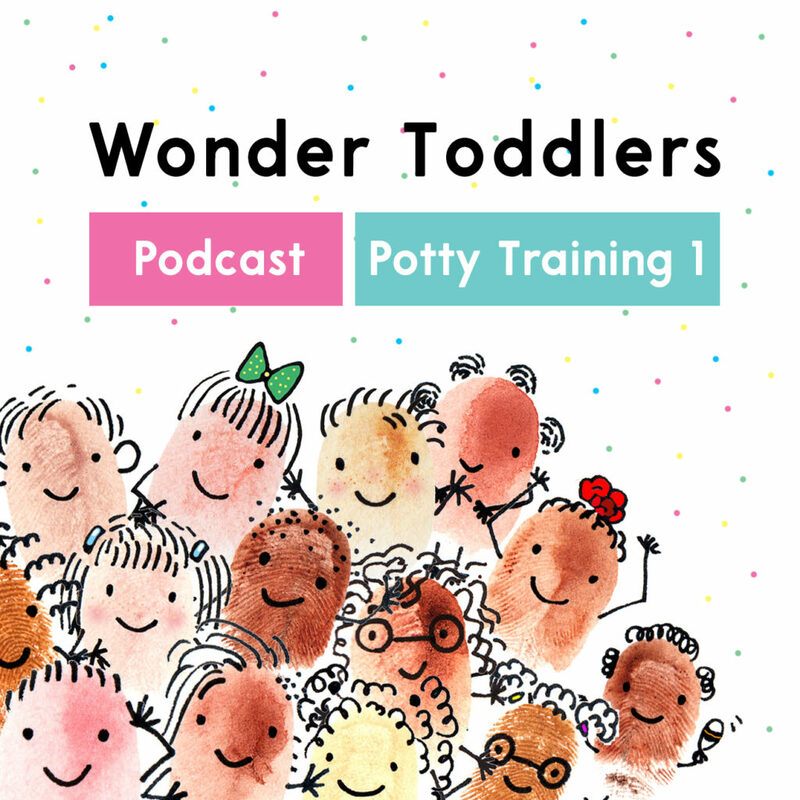 To understand your child’s behaviour better, please read episode 1 and learn about the possible causes of aggressive behaviour in toddlers. 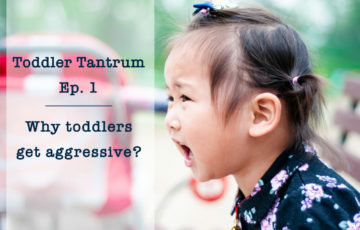 Do you have trouble handling your toddler's aggressive behaviour? Email me and let's find the solution together. One of the ways, and probably the best ways to remain calm is to accept the fact that your toddler will go through this inevitable phase. I truly understand that feeling: when I was working in a nursery, there were “some” days when I could just leave the classroom, shut the door behind me and shout at the top of my lungs. 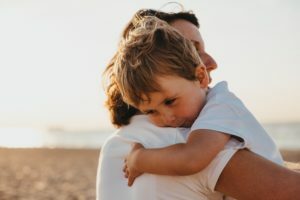 It is a natural feeling and you don’t need to fight against it; you just need to understand what happens in your child’s brain, how you can help him and how you can remain calm even if you are boiling in the inside. The main reason why you should remain calm (and be firm) is that if you act calm, your child will calm down quicker. If you show your anger and start shouting and throwing things, your child will be either scared of you or carry on crying or kicking. 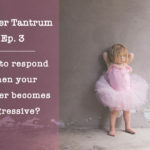 One of the ways, and probably the best ways to remain calm is to accept the fact that your toddler will go through this inevitable phase and he doesn’t hit or kick because he wants to hurt others or herself. He is at a stage when he wants to be independent and wants to make his own decisions, but his skills and abilities are limited (e.g. his communication and language skills and empathy are not well developed yet) and so he will express himself differently, using actions which have ‘obvious’ meanings such as hitting or kicking. 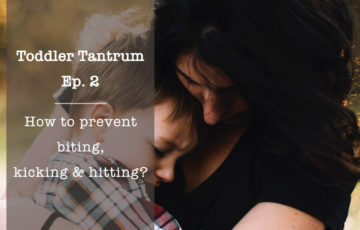 Understanding that your child is not yet able to express himself via words and so that sometimes he will use biting, kicking and hitting as communication tools will help you to respond to these negative behaviours better and you will feel less stressed about it. One of the possible causes of aggressive behaviour is the quality of the environment. If a child lives in a harmonious and loving home, her actions will more likely to reflect that. 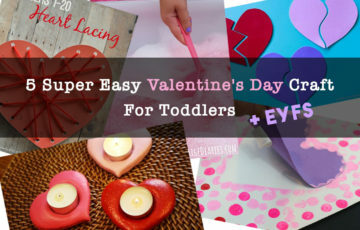 It doesn’t mean that you cannot have a bad day or that you cannot argue with your partner, but try to deal with these situations in a way that it does not cause too much stress to your child. Children learn the most by copying so it is crucial that you show a good example. The way you react to things and the way you communicate with others will have a huge impact on your child and she might react and communicate the same way as you do. Showing a good example certainly helps your child to develop empathy and express her feelings and thoughts in a nonaggressive way. You will give less opportunity for your child to throw a tantrum or get physical if you create a daily routine. 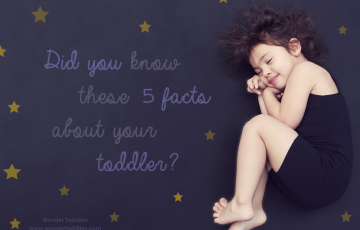 For example, if you say that after brushing teeth it’s story and sleep time, and you keep yourself to this routine, your child will get used to it and she will less likely get cross about it. 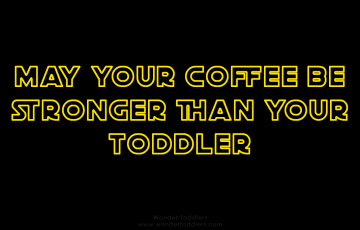 Also, routines give a sense of certainty and safety, so your child will be more balanced and calmer. You can help your children to make better decisions in the future if you teach them that every decision come with consequences, certain behaviours lead to certain outcomes. Be consistent, keep your promises and try not to negotiate. You can help your children to make better decisions in the future if you teach them that every decision come with consequences, certain behaviours lead to certain outcomes. For example, if you say “You can’t have dessert unless you eat your dinner” but you serve dessert anyway, your child will quickly realise that she can do whatever she wants or at least she can fight for it. 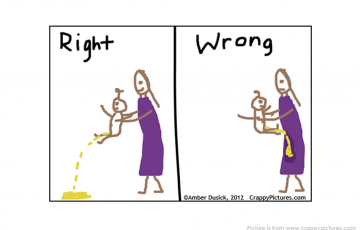 I know that staying consistent and not negotiating is hard sometimes, especially at the beginning when you set up a new rule; for example, “When you hear the bell, it means tidy up time, so you put your toys away” and your child burst into tears, but believe me, after a while if you are consistent, she will know that there is no escaping from tidying up, she can cry however she wants, you will still make her tidy up anyway. You not only “trick” them to do something by offering choices but you boost their self-confidence, they learn about that their decisions have consequences and it develops their problem-solving skills. 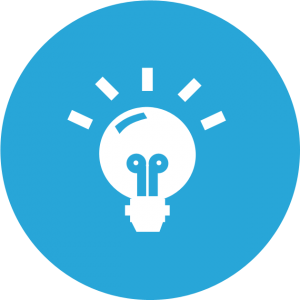 Email me and let's find the solution together! Sometimes children have tantrums because they don’t get enough attention. For example, your child wants to communicate something to you but you keep telling him “not now” and so he doesn’t have the opportunity to tell you what he wanted he may throw a tantrum to just get your attention. It doesn’t mean of course that you have to be available all the time and you have to stop whatever you were doing, but make sure that you acknowledge your child and if you are really that busy with something, just tell him that you will listen in a minute. To prevent aggressive behaviour in toddlers and teach empathy you can use the magic of role-play. For example, you can pretend that little teddy bear doesn’t share a toy with baby rabbit and so baby rabbit starts to cry. 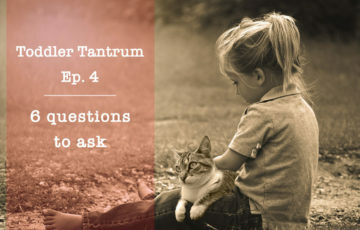 Ask your child questions such as “What do you think just happened?” , “What should teddy bear do now?” or “If baby rabbit wants to play with the same toy as little teddy, what should rabbit say?” You can use dolls, cars, animals, figurines… to re-create real-life scenarios to help your child develop empathy and manage his feelings and behaviour. 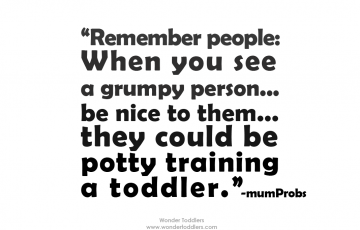 Another effective way to prevent your toddler to get aggressive is to give him a small task/responsibility. By doing this, he will receive a good, positive type of attention, that will make him feel secure and valued. He will feel equal and an important member of the family. 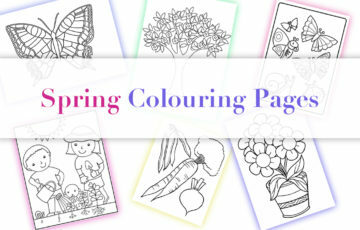 It also helps him to become more independent and teach him about the world. 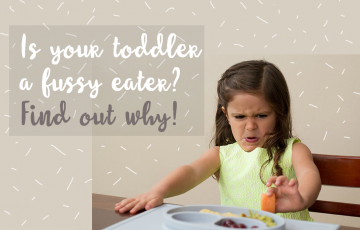 Toddlers are full of energy and if they don’t know how to channel that energy, usually this is when they start to run, jump, throw and kick in the house. 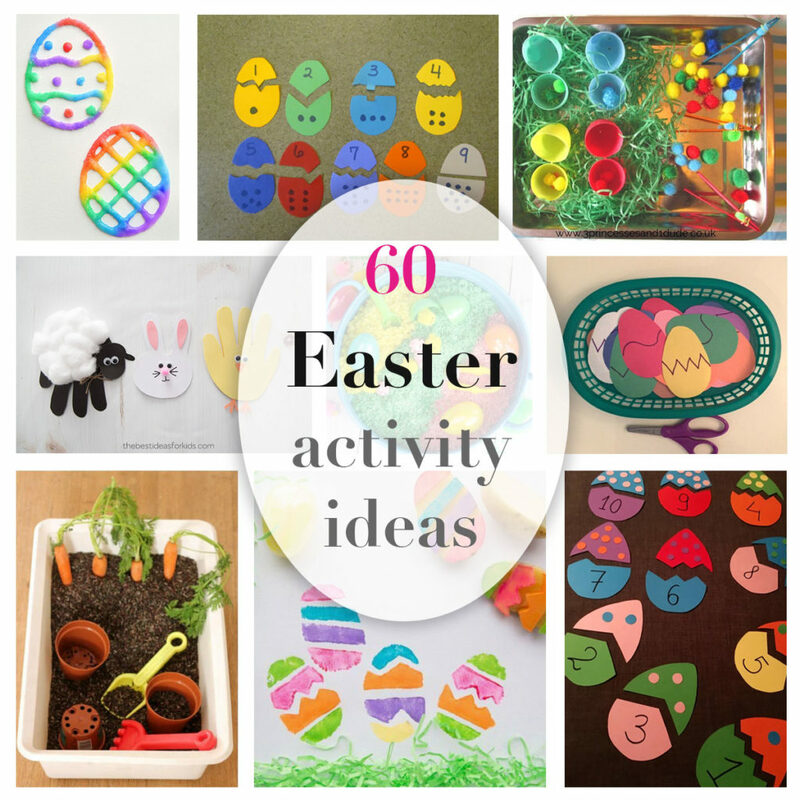 Provide engaging, entertaining activities and resources that will make them busy and distracted. 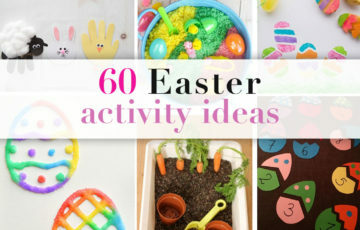 The activities can be very simple and the resources cheap, you don’t need to rush to the closes toy store. 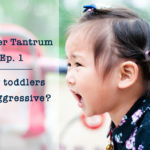 To channel toddlers’ energy and aggression, physical exercises such as running, jumping or games with rules help to release their aggressiveness without hurting anyone. Activities like these teach toddlers the importance of teamwork, fair play, respect and sport allows children to learn control their behaviours, feelings and practise discipline. Talk to your child about feelings like anger, disappointment, frustration etc. and what he can do about them. He can use his words. Teach him simple short sentences such as “No, thank you.” or “Stop it, I don’t like it.”) He can walk away. If someone is treating him badly, for example, one of his peers, then he can just walk away. He can go to his quiet corner. Create a cosy, relaxing space for your child where he can go and maybe lay down or read a book when he feels overwhelmed with emotions. This place shouldn’t work as a naughty step and not even a thinking chair. You don’t send your child there as a punishment, he can go there by himself to gather his thoughts and reflect on his feelings. He can ask for adults’ help. Teach your child to ask for help if he, for example, has trouble with sharing a toy or one of his peers hurt him and so on. Try to change his focus when you see that he is going to explode with his feelings. It can be singing or dancing silly or showing something to him to snap out of his mood. 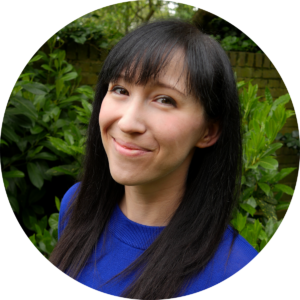 There are plenty of books and videos about feelings and behaviour that you can use to prevent your toddler’s aggressive behaviour. 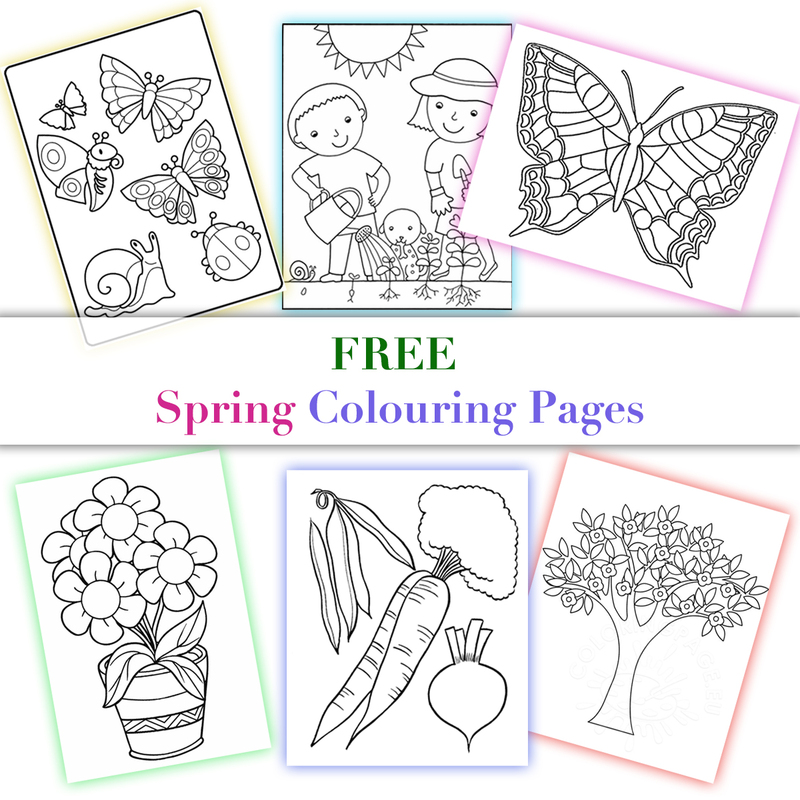 Talk about the story after reading or watching it and you can even act out the story. 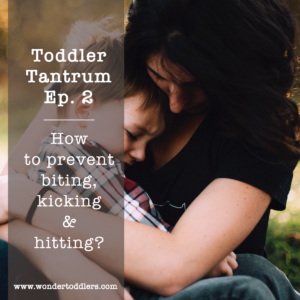 Does your toddler kick, bite or hit? 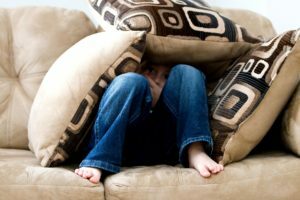 Do you have enough of this behaviour and want your child to get control of his emotions? Email me and let's bring the happy and fun days back together!